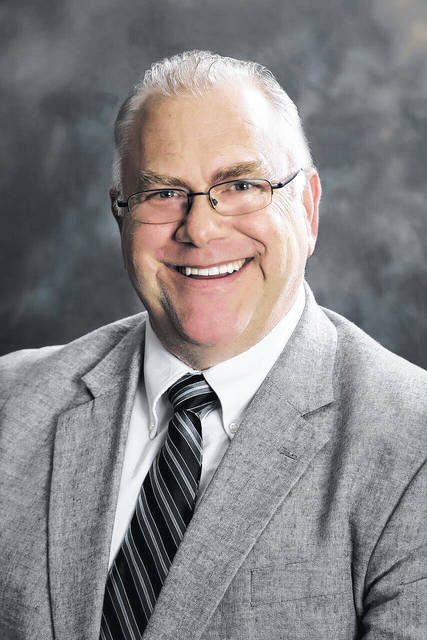 After serving a decade on Powell City Council, Jim Hrivnak, who chose not to seek re-election this past November, was recognized in resolution form by his fellow council members for his commitment to the city and its residents during his final meeting on Tuesday. Hrivnak’s tenure as a council member began in 2008 and included stints as vice mayor (2012-2013) and mayor (2014-2015). Along with officiating 29 marriages while mayor, Hrivnak also served on multiple committees and commissions, leaving a lasting impression on those he served with along the way. Lorenz said when he started on council in 2010, Hrivnak was more than willing to help show him the ropes. “I appreciate all you have done to help teach me and sort of taken me under your wings, I think, in somewhat of a mentorship capacity,” Lorenz told Hrivnak. As a small token of appreciation, council and city staff presented Hrivnak with a wooden clock featuring the city’s logo, and for old times’ sake, Lorenz passed the gavel to Hrivnak to allow him to adjourn the meeting one final time. “It’s been my pleasure to serve you, the citizens of Powell,” Hrivnak said. Melissa Riggins, who was elected to council during the November election, will fill Hrivnak’s seat in January. By a 6-1 vote (council member Brendan Newcomb voted no), council approved a resolution disbanding the city’s Arbor Advisory Commission. City Manager Steve Lutz said the commission was formed several years back to help oversee the city’s cost share tree planting program. “As a result of budget reductions, we no longer have that program, and the Arbor Advisory Commission has not met in several years,” he said. Lutz added the decision to disband the commission will have no impact on the city’s Tree City USA designation. “If there is a future need for such a commission, we can always create it again,” he said. Council approved its yearly contract with the Delaware City Prosecutor’s Office to prosecute all cases coming before the Delaware Municipal Court that arise out of alleged violations of Powell’s codified ordinances. Under the terms of the professional services agreement, which is valid for one year beginning on Jan. 1, 2018, the city will pay the prosecutor at the rate of $210 per contested case prosecuted. Lutz said the current contract rate is $205 per contested case, and over the past 12 months, the city has paid the Delaware City Prosecutor’s Office $18,730 for its services.